The Soan River, referred to as the Swan, Sawan, or Sohan, is a river in Punjab, Pakistan. The Soan River is an important stream of the Pothohar region of Pakistan and it drains much of the water of Pothohar. It starts near the village of Bun in the foothills of Patriata. It provides water to Simly Dam, which is the reservoir for Islamabad. Near Pharwala Fort it cuts through a mountain range, a wonderful natural phenomenon called Soan Cut. No stream can cut such a mountain, which proves that the Soan was there before the formation of this range. And as the mountain rose through millions of years, the stream continued its path by cutting the rising mountain, Ling stream, following a relatively long course through Lehtrar and Kahuta falls in the Soan near Sihala on southern side of Village Gagri/Bhandar. Islamabad Highway crosses this stream near Sihala where the famous Kak Pul bridge is constructed over it, the Ling Stream joins the Soan river just before the Kak Pul. Two other famous streams, the Korang River joins it just before the Soan Bridge and Lai stream, after following a tortuous path along a big curve, the stream reaches Kalabagh proposed Dam Site close to Pirpiyahi where it falls into the Indus river. The Indus River Delta, forms where the Indus River flows into the Arabian Sea in Pakistan. The delta covers an area of about 41,440 km², the active part of the delta is 6,000 km2 in area. The climate is arid, the region receives between 25 and 50 centimetres of rainfall in a normal year. The delta is home to the largest arid mangrove forests in the world, as well as birds, fish. Since the 1940s, the delta has received less water as a result of irrigation works capturing large amounts of the Indus water before it reaches the delta. 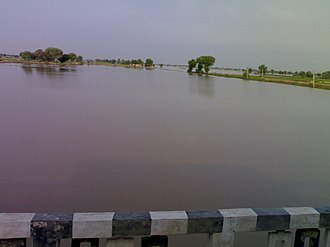 The result has been catastrophic for both the environment and the local population, as a result, the 2010 Pakistan floods were considered good news for the ecosystem and population of the river delta as they brought much needed fresh water. The population of the part of the delta was estimated at 900,000 in 2003. Most of the population depends on agriculture and fishing, many former settlements in the delta have been abandoned as result of lack of water in the Indus and the encroaching Arabian Sea. 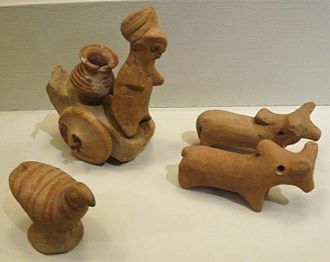 According to some accounts, the Macedonian fleet anchored itself for some time in the Indus river delta and it was damaged by a tsunami generated by an earthquake off the Makran Coast in 325 BC. According to Tarikh-i-Hind by 6th century A. D. there existed a port called Debal in what is now the part of the Indus delta. 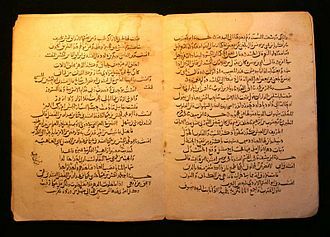 Debal seemed to be the base of pirates from the tribe of Nagamara and these pirates raids against the Umayyads, and the refusal to redress the issue by the ruling prince, precipitated the Muslim conquest around 710 AD. Debal remained a port, and the last recorded mention of it was in 1223 AD, by the time Ibn Batuta reached the Indus delta, Debal had been abandoned due to increased shoaling preventing the then-port from accessing the sea. During the Abbasids, the caliphate began to disintegrate, and the delta came under the control of the autonomous province centered at Mansura. 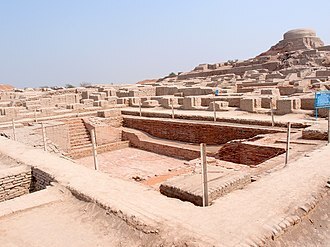 The tribe had several capitals, but none are populated today, in 1333 AD, the Samma Dynasty ruled all of the delta, and established their capital first at Samu-i and at Thatta. 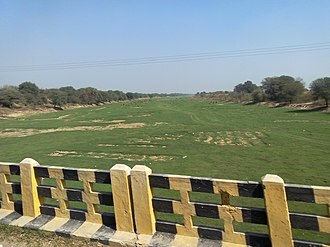 The Sutlej River is the longest of the five rivers that flow through the historic crossroads region of Punjab in northern India and Pakistan. The Sutlej River is known as Satadree and it is the easternmost tributary of the Indus River. The waters of the Sutlej are allocated to India under the Indus Waters Treaty between India and Pakistan, and are mostly diverted to canals in India. 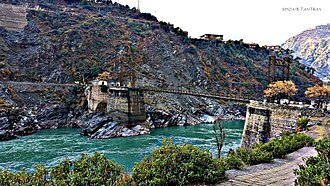 There are several hydroelectric projects on the Sutlej, including the 1,000 MW Bhakra Dam, the 1,000 MW Karcham Wangtoo Hydroelectric Plant. The Upper Sutlej Valley, called Langqên Zangbo in Tibet, was known as the Garuda Valley by the Zhangzhung. The Garuda Valley was the centre of their empire, which stretched many miles into the nearby Himalayas, the Zhangzhung built a towering palace in the Upper Sutlej Valley called Kyunglung, the ruins of which still exist today near the village of Moincêr, southwest of Mount Kailash. 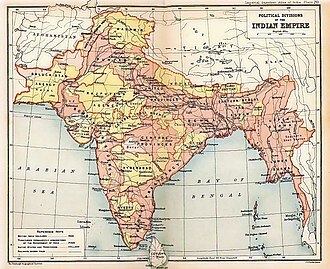 Eventually, the Zhangzhung were conquered by the Tibetan Empire, the boundaries of Greater Nepal extended westward to beyond Satluj River until the tide turned in 1809 and Kangra king repulsed Gorkha army eastward with help from Maharaja Ranjit Singh. Today, the Sutlej Valley is inhabited by descendants of the Zhangzhung. The Sutlej was the medium of transportation for the kings of that time. In the early 18th century, it was used to transport devdar woods for Bilaspur district, Hamirpur district, of four rivers mythically flowing out of holy Lake Manasarovar, the Sutlej is actually connected by channels that are dry most of the time. The source of the Sutlej is west of Lake Rakshastal in Tibet, Rakshastal in turn is ephemerally connected by Ganga Chhu to sacred Lake Manasarovar about 4 KM further east. The nascent river flows at first west-northwest for about 260 kilometres under the Tibetan name Langqên Zangbo to the Shipki La pass and it turns slightly, heading west-southwest for about 360 kilometres to meet the Beas River near Makhu, Firozpur district, Punjab state. North western part of Panchkula district in Haryana state is located in the Sutlej river basin, thus Haryana is a riparian state of Indus river basin. The area to the southeast on the Pakistani side of the Indian border is called the Cholistan Desert and, on the Indian side, during floods, Indus river water flows in to Indian part of Great Rann of Kutch. Sukkur, formerly Aror and Bakhar, is the 12th largest city of Pakistan and third largest city of the province of Sindh. It is situated on the west bank of Indus River and is the headquarters of Sukkur Division, the word Sakhar means superior in Sindhi, and the spelling of the citys name in Sindhi suggests this is the origin of the name. Modern Sukkur was built by the British general Sir Charles Napier in the 1840s, the city of Sukkur is the capital of Sukkur Division and Divisional and district headquarters. Tehsils and contains many Union council, Sukkur is noteworthy in Sindh and Pakistan generally for its comparative tolerance towards religious and ethnic minorities. 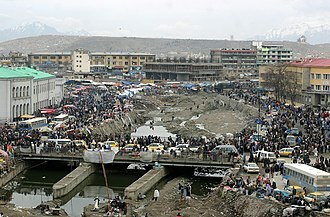 The city has its own Culture, the city is a multiethnic mix of Sindhis, Brahuis and Pakhtuns. Some of the Bandhani, Memons and Punjabis did however settle here before partition, both Brahuis, Balochis speak Sindhi language as their mother tongue. Sindhis are native to the area and speak various dialects, including Utradi, Lasi, Thari, a large number of Punjabis were attracted to the city after the Indus treaty settlement and settled around downtown and Chowk Ghantaghar in the central part of the city. The district of Sukkur covers an area of 5,165 square kilometres, geographically it is spanned from 27°05 to 28°02 north latitudes and from 68°47 to 69°43 east longitudes. The city of Sukkur is located at an altitude of 220 feet from sea level, having terrestrial coordinates 68°52 east and it is the narrowest point of the lower Indus course. Sukkur district shares its border with Shikarpur and the recently constituted Kashmore districts. Ghotki is located on the side while Khairpur on the south. The border with India lies further east, Sukkur is connected by road and by air with all major cities of Pakistan. The climate of Sukkur is characterised by hot and hazy summer with dry. 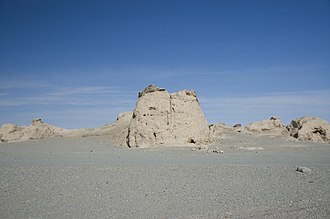 Throughout the whole year wind speed is low and sunshine is abundant as the district exhibits a desert climate, summer is very hot as the temperature can reach 50 °C. Dry heat is experienced starting April to early June until the Monsoon season starts to arrive, monsoons in the city of Sukkur are not very wet, but extremely high dew point couple up with very hot temperature makes the temperatures extremely uncomfortable. Lake Manasarovar is a freshwater lake in Tibet. 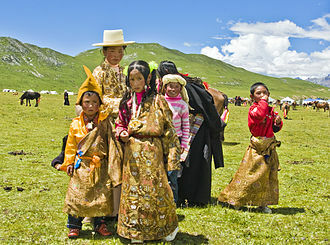 This lake is considered sacred by Tibetans Buddhist, Hindus. This lake is considered holy by Tibetans and appears excessively in Tibetan folk songs. Lake Manasarovara is the lake in which a great Tibetan monk saw Aha Kha Mha and these three initials helped the search team to locate the current the 14th Dalia Lama of Tibet. 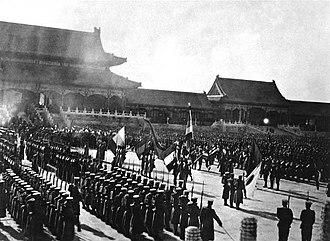 The three intitails stand for the province, the district, and the Monastary in the current Dalai Lama was born, i. e. Ahamdho, Khunbum, in Tibetan folk songs Mount Kailash and Lake Manasarovar appear hand in hand. 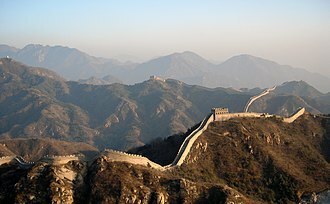 In some it says, The highest mountain is Mt. Kailash The largest lake is Lake Manasarovar, Mount Kailash and Lake Manasarovar are iconic representation of Western Tibet which is Ngari but it is considered holy and sacred by all Tibetans through out Tibet. Tibetans from all nooks and corner come to Mount Kailsh and Lake Manasarovar for pilgrimage at least once in a life time and Jains visit this lake and bathe in this lake to wash away their sins. These days tourist from all over the world pour into this place to catch the Tibetan spiritual vibe which helps to calm our mind and body. 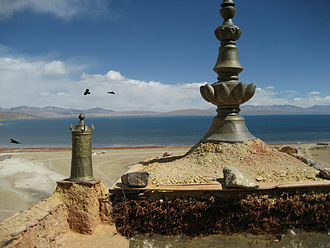 Lake Manasarovar lies at 4,590 m above sea level. Lake Manasarovar is relatively round in shape with the circumference of 88 km and its depth reaches a maximum depth of 90 m and its surface area is 320 km2. It is connected to nearby Lake Rakshastal by the natural Ganga Chhu channel, Lake Manasarovar is near the source of the Sutlej, which is the easternmost large tributary of the Sindhu. Nearby are the sources of the Brahmaputra River, the Indus River, and the Ghaghara, Lake Manasarovar overflows in to lake Rakshastal which is a salt-water endorheic lake. These lakes used to be part of the Sutlej basin and were separated due to tectonic activity, the word Manasarovar originates from Sanskrit, which is a combination of the words Mana and sarovar, with mana meaning mind and sarovar meaning lake. According to Hinduism, the lake was first created in the mind of the Lord Brahma after which it manifested on Earth, in Hinduism, Lake Manasarovar is a personification of purity, and one who drinks water from the lake will go to the abode of Shiva after death. Hyderabad is a city located in the Sindh province of Pakistan. Hyderabad is the 4th largest city in Pakistan and the 2nd largest in the province of Sindh and it is located in south-east of the country. In AD711, Arab general Muhammad bin Qasim conquered Sindh, Raja Dahir was a Hindu king who ruled over a Buddhist majority and that Chach of Alor and his kin were regarded as usurpers of the earlier Buddhist Rai Dynasty. The forces of Muhammad bin Qasim defeated Raja Dahir, Hyderabad is a city built on three hillocks cascading over each other. Mian Ghulam Shah Kalhoro of the Kalhora Dynasty founded the city in 1768 over the ruins of Neroon Kot, a formal concept for the city was laid out by his son, Sarfraz Khan in 1782. When the foundations were laid, the city obtained the nickname Heart of the Mehran as the ruler Mian Ghulam Shah himself was said to have fallen in love with the city. In 1768 he ordered a fort to be built on one of the three hills of Hyderabad to house and defend his people, the fort was built using fire-baked bricks, on account of which it was named Pacco Qillo meaning the strong fort. 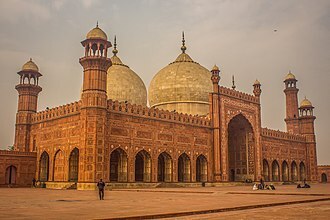 The City has a history of Sufism, in the 18th Century Syeds from Multan migrated and settled at Tando Jahania making it a sacred place for Muslims. These Syeds came here from Uch Sharif via Jahanian and these were the descendants of Jahaniyan Jahangasht a noted Sufi saint. The city is a multi-ethnic and has a mix of Sindhi, Urdu speaking Muhajirs, Punjabis, Memons, the independence of Pakistan in 1947 saw the influx of Muslim Urdu-speaking Muhajirs from India fleeing from anti-Muslim pogroms. Mahjirs mainly live in Latifabad and Sindhi mainly live in Qasimabad areas, a large influx of Punjabis were attracted to Hyderabad after the Indus treaty settlement. Most Punjabis and Pakhtuns are distinct and separately living near the railway station, the city therefore has cosmopolitan atmosphere with multiethnic and multicultural communities. Hindus account for the largest religious minority forming 5% of the population of the city. While Christians account for 1% of the population, Hyderabad is the seat of a Diocese of the Church of Pakistan and has five churches. The Swat River is a perennial river in the northern region of Khyber-Pakhtunkhwa Province, Pakistan. 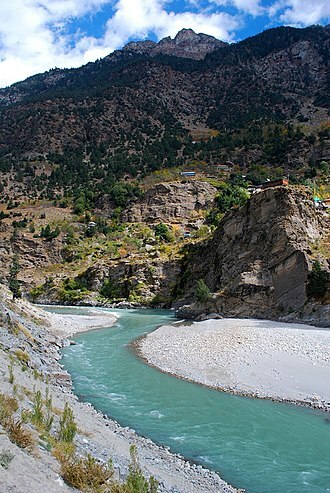 The river commences in Swat Kohistan region of Kalam with the confluence of two main tributaries Ushu and Gabral and runs downstream in a gorge up to Baghdheri. The name is derived from an old Sanskrit term, Suvastu and it is mentioned in Rig Veda 8.19.37 as the Suvastu river. With the passage of time, it was shortened to Swat by the people, in the extreme south of the valley, the river enters to a narrow gorge and joins the Panjkora River, at Qalangi, and finally empties into Kabul River, near Charsadda. It is diverted near Batkhela for irrigation and power generation purposes, the Upper Swat Canal flows under Malakand through Benton Tunnel. Below Dargai, the canal is divided into two branches, supplying Charsadda and Swabi & Mardan. The water used for hydropower generation at Jabban and Dargai Power Stations, Swat River plays an important role in the economy of the valley. It irrigates large areas of Swat District, Malakand District and lower Peshawar Valley, the river serves as a habitat for diverse species of birds & contributes to the fishing industry of the region. Jehlam River or Jhelum River is a river that flows in the Indian and Pakistani controlled portions of Kashmir, and Punjab in Pakistan. It is the westernmost of the five rivers of Punjab, and it is a tributary of the Chenab River and has a total length of about 725 kilometres. Anjum Sultan Shahbaz recorded some stories of the name Jhelum in his book Tareekh-e-Jhelum as, one suggestion is that in ancient days Jhelumabad was known as Jalham. The word Jhelum is reportedly derived from the words Jal and Ham, the name thus refers to the waters of a river which have their origins in the snow-capped Himalayas. With the passage of time it became Jhelum from Ja-e-Alam, the Sanskrit name of this river is Vitasta. The river got this name from the incident regarding the origin of the river as explained in Nilamata Purana. Goddess Parvati was requested by sage Kasyapa to come to Kashmir for purification of the land from evil practices and impurities of Pisachas living there, Goddess Parvati assumed the form of a river in the Nether World. Then Lord Shiva made a stroke with his spear near the abode of Nila, by that stroke of the spear, Goddess Parvati came out of the Nether World. Shiva himself named her as Vitasta and he had excavated with the spear a ditch measuring one Vitasti, through which the river - gone to the Nether World - had come out, so she was given the name Vitasta by him. The river Jhelum is called Vitastā in the Rigveda and Hydaspes by the ancient Greeks, the Vitasta is mentioned as one of the major rivers by the holy scriptures — the Rigveda. It has been speculated that the Vitastā must have one of the seven rivers mentioned so many times in the Rigveda. The name survives in the Kashmiri name for this river as Vyeth, according to the major religious work Srimad Bhagavatam, the Vitastā is one of the many transcendental rivers flowing through land of Bharata, or ancient India. He was the brother of Iris, the goddess of the rainbow, and half-brother to the Harpies, the snatching winds. Since the river is in a country foreign to the ancient Greeks, it is not clear whether they named the river after the god, or whether the god Hydaspes was named after the river. Verinag Spring, major source of Jhelum River. Ghaggar river dry bed in February month near Naurangdesar village, Hanumangarh district, Rajasthan, India. 35 metre statue of Maitreya Buddha facing down the Shyok River towards Pakistan. Sand dunes in the Cold Desert of Skardu are often covered in snow during winter. Sukkur is home of the Hindu Sadh Belo shrine. The Sukkur IBA University is one of Pakistan's most highly ranked business schools. The Indus River Delta, as seen from space with Kori Creek shown at top. The constellation Indus as it can be seen by the naked eye. Indus (top middle) in an extract from Johann Bayer's Uranometria, its first appearance in a celestial atlas. The confluence of the Zanskar River (from top) and the Indus (bottom flowing from left to right) is 3 km southeast of Nimmu village in Ladakh.